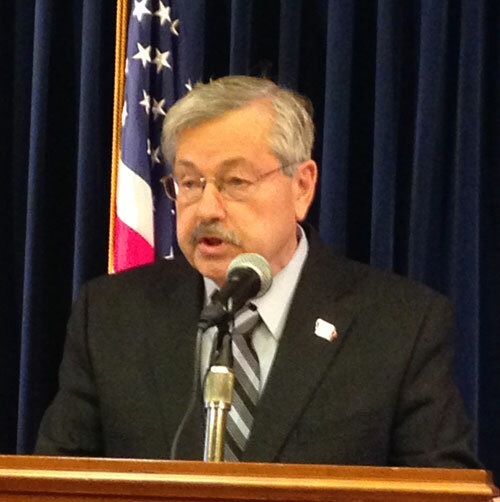 Governor Terry Branstad doesn’t think it’s “likely” that Donald Trump will wind up being the Republican Party’s presidential nominee next year. Trump is tops in several recent national polls and a couple of recent surveys focusing solely on Iowa Caucus-goers found Wisconsin Governor Scott Walker in the lead, with Trump surging into second place. Trump announced in mid-June that he would run for president and he’s appeared at three events in Iowa since then, including a weekend rally in Oskaloosa that attracted a crowd of more than 14-hundred people. The candidate who has spent the most time in Iowa is Rick Perry and Branstad predicts the former Texas governor “will do a lot better” in the Iowa Caucuses than expected.